In November 2017, Crestwood commissioned Phase 1 of the Bear Den gas processing plant (“Bear Den”) in Watford City, ND. 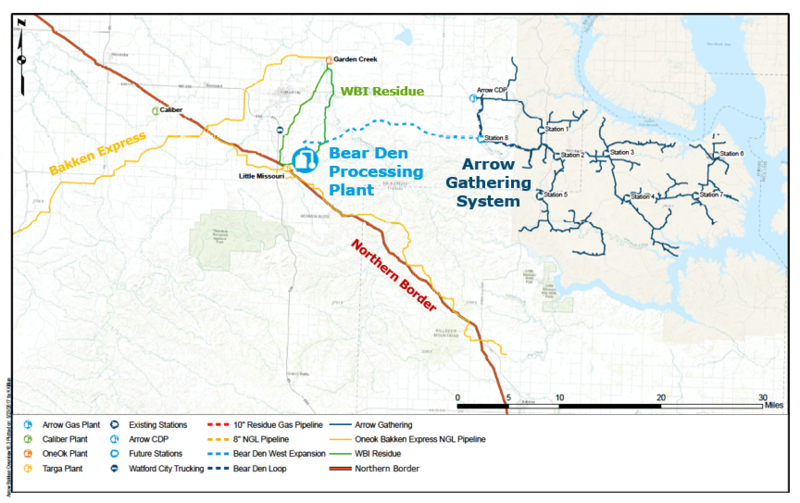 Bear Den Phase 1 provides 30 MMcf/d of processing capacity to support accelerated development on Crestwood’s Arrow gathering system on the Fort Berthold Indian Reservation in the Bakken Shale. The Arrow gathering system supplies the Bear Den plant via a new 25 mile pipeline. The plant will have connections into NGL and residue outlets including COLT Hub’s rail loading via Crestwood’s trucking fleet. In December 2017, Crestwood announced the Bear Den Plant Phase 2 expansion that will increase processing capacity to 150 MMcf/d. The Phase 2 expansion is expected to cost approximately $195 million and be in service by the third quarter of 2019. 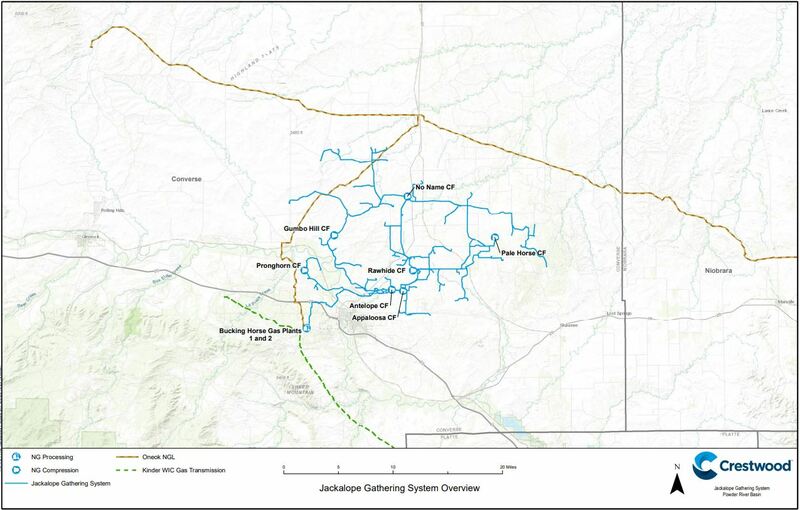 In July 2018, Crestwood announced a major expansion of the Jackalope gathering system and Bucking Horse processing plant in Converse County, Wyoming. The expansions are driven by exponential volume growth forecasted in the Powder River Basin. Through a series of projects, gathering and processing capacity will increase from 120 MMcf/d to 345 MMcf/d by the end of 2019. As a result of the recent discovery of multiple productive oil-saturated formations and lower drilling and completion costs, the Powder River Basin is experiencing a resurgence in activity as producers accelerate appraisal and development in multiple productive formations. This has resulted in an increasing need for wellhead services and midstream infrastructure in the basin. Based on the increasing productivity of the Turner and Niobrara formations in the Powder River Basin and the current level of rig activity within the joint venture’s dedicated acreage, volumes are expected to approach the full capacity of the expanded G&P system by 2021. Crestwood is always evaluating its vendors to ensure each project is completed on-time while achieving the highest quality and safety standards. If you are interested in working with Crestwood, please submit an inquiry below and if there are any available opportunities, a Crestwood team member will be in touch.